The Loofa or Hechima harvest has started in Okinawa. The harvest season is from the end of May to July. 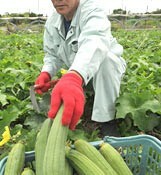 Mainland Japanese do not have the custom of eating loofa, but it is a popular vegetable during summer in Okinawa. 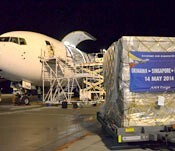 All Nippon Airways (ANA) has started new cargo flights between Okinawa and Singapore as part of its international cargo project. 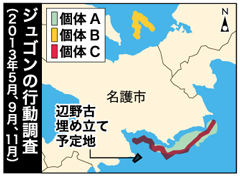 The cargo flight on this route left for Singapore at 5:00 a.m. on April 14.
International Hula Dance competition Kagimana hula Miyakojima 2014 was held at Mateada Civic Theater and other venues in Miyako City from May 16 to 18. 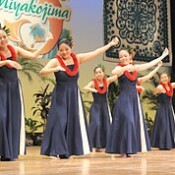 The contenders performed gracefully, dancing to Hawaiian music and captivating the audience. 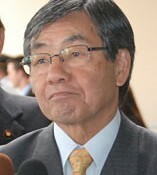 The world’s largest convenience store operator Seven-Eleven, Inc. plans to tap into markets in Okinawa. 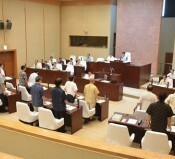 The company is negotiating with Okinawan companies about affiliating, building stores, and acquiring factories.